Mobile app development has always registered a notable growth since its inception by embracing new technologies into it and has always been a successful part of application building.According to the current scenario, a majority of the app development companies have transformed towards hybrid app development from native app development which has really yielded them with a cutting-edge solution and sheer success.Frameworks are found to be the key contributor to the success of mobile apps, and they have always been part and parcel of mobile app development services all these ages.So without wasting much time, lets quickly dive deep into the process of analysing the best mobile app framework that would rule the entire development arena this 2019. Being the proper factory outlet of Google, Flutter has huge community support from coders which helps to face any practical difficulties when implemented.We are the best mobile app development company in Chennai, India who focus on client satisfaction and acheive the same by implementing updated technologies. This typical framework got introduced around 2015, by another industrial legend “Facebook”. Holding all the key features like light-weight, cross-platform deployability, and swiftness contributed to the exponential growth of React native. 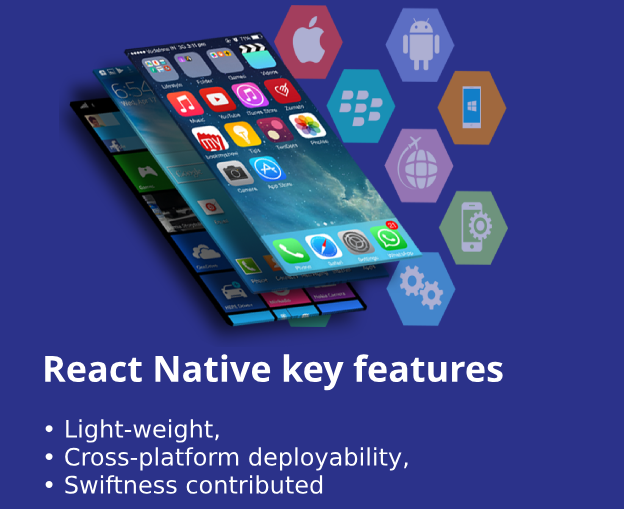 React native is still in its beta version and looking out for further improvement in its IDE, execution, and APK builds and it can be easily addressed by third-party software, which makes developers work easy. We are the best ReactJS development company in Chennai, India who delivers enhanced mobile app solutions to our diversified client base. The ionic framework is a well-established mobile app development platform which is meant to develop hybrid mobile applications in a seamless way. The striking advantage of using ionic framework is it delivers the native feel while developing a hybrid app. Cost-effective designs, high range of robustness and extraordinary SDK are the striking features of the ionic framework. Progressive web apps have become the most preferred ones in today’s industrial scenario and adopted by various giants players like Uber, Twiter and Washington Post in their web application development. This particular kind of web app prefers the ionic framework in creating any huge and complicated applications. We are the leading mobile app development company in Chennai, India delivers par excellent services that surpass client requirements. Unlike other frameworks, PhoneGap doesn’t show any hardware based restrictions instead it allows developers to construct a useful cross-browser web application that presents in a better way towards web-view model. PhoneGap uses the best set of CSS3 tools to develop the web application which portrays similar view and feel between native and hybrid apps. Being the renowned mobile app development company in Chennai, India iStudio Technologies ensures to bring in the exact similarity between both the categories of applications. Corona framework is developed based on the Lua programming language, and it is highly known for its versatility which brings in the necessary speed and flexibility over the period of time within the framework. Corona is known for multi-platform deployment which used to perform in a flawless way across any operating systems. Mobile app development will play the key role and surpass the need for web app development in the upcoming days of 2019, a lot more new and fresh mobile app frameworks are expected to come with remarkable features that perform well in all the platforms. We at iStudio Technologies are an innovative mobile app service providers in Chennai, India who build custom mobile app solutions that bring in real benefit to the business.